Download our latest brochure to learn more about the Leadership Intensive. The goal of the Leadership Intensive is to provide attendees with the knowledge, skillsets, and professional networks that we have seen the most successful charter leaders utilize during our 25+ years of operation. To this end, CSDC staff and expert guest presenters provide trainings on a wide range of essential charter topics, like accountability, renewal, legal issues, special education, collective bargaining, personnel, authorizer relationships, governance, finance, facilities, and more. Build a lasting professional network. Networking at the Leadership Intensive can be a great way for attendees to build professional communities that will provide support in their current roles or open doors to opportunities within the broader charter school movement. 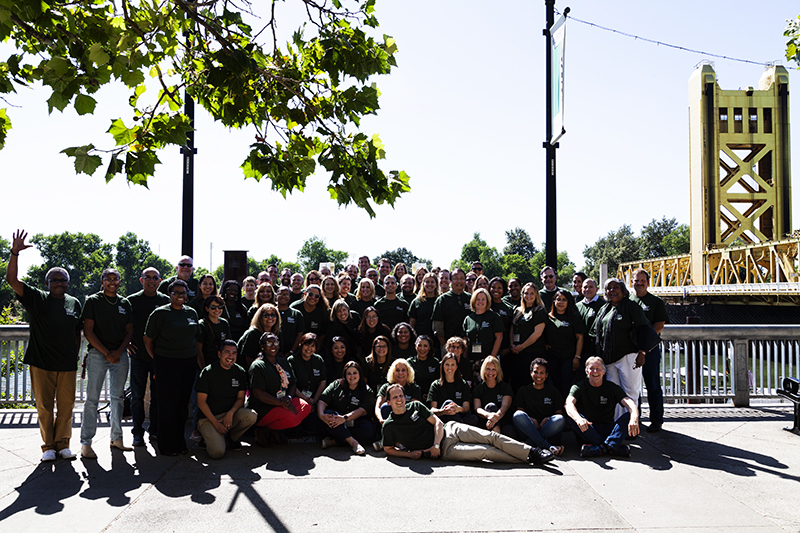 The 2019 Leadership Intensive will be held in Folsom, CA at the Lake Natoma Inn. The registration fee covers program tuition but does not include the cost of travel or lodging. CSDC will provide lunch for each day of the Intensive; however, participants are expected to arrange for and pay the costs of all other meals, travel, and lodging. Participants must attend all sessions and should book travel accordingly, arriving by 8:00AM on Monday, June 24 and departing no earlier than 6:00PM on Thursday, June 27, 2019. LI session topics are offered in both beginning and advanced formats. 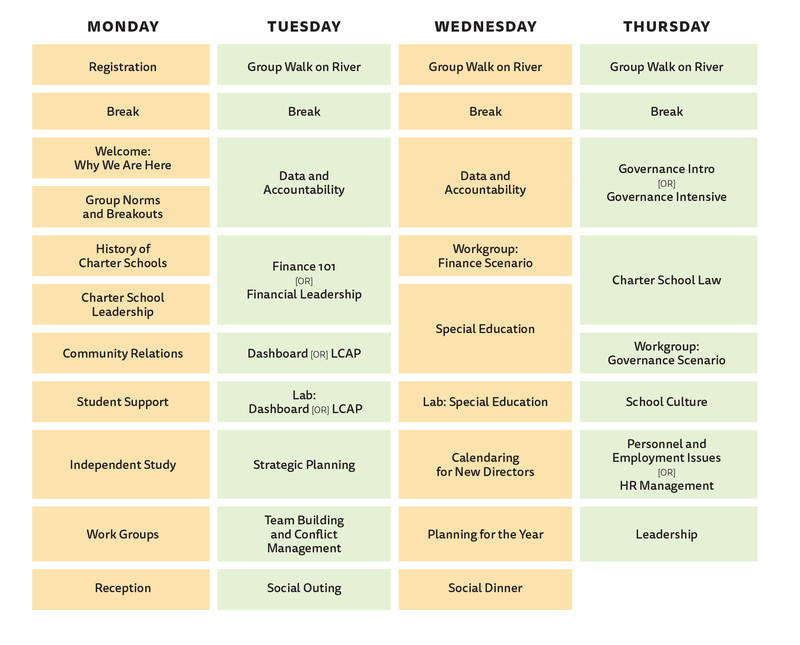 Specific LI sessions have been added and are tailored to challenge experienced charter school leaders in need of deeper training. 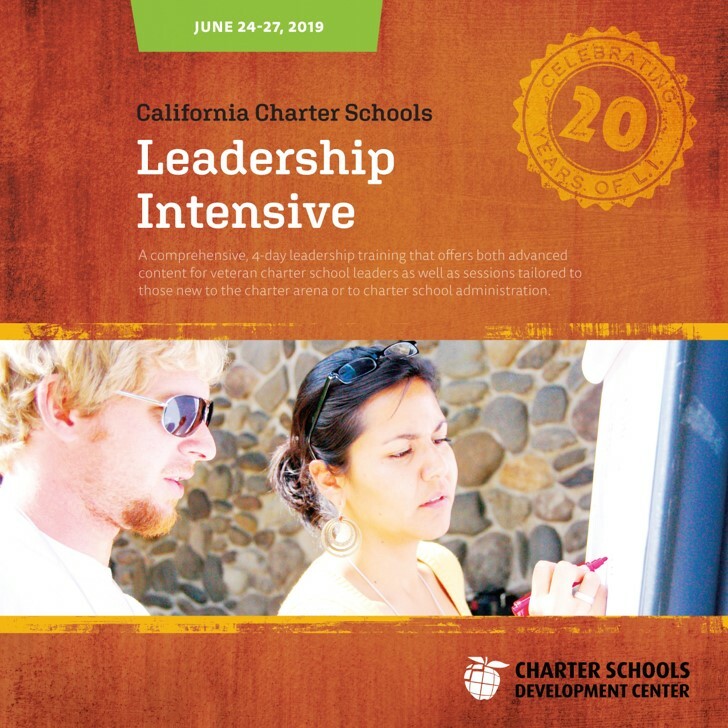 LI provides leaders coming from out-of-state, private, and traditional public schools (or from other professional backgrounds) with the customized training they need to successfully transition to their roles as California public charter school leaders. LI ensures that newly-promoted instructional staff have the proper training in school operations (e.g., human resources, legal, finance, etc.) to succeed in their new roles. LI provides attendees from newly-granted charter schools with the latest practical information on a variety of critical topics, as well as the opportunity to identify and address knowledge gaps—all before their schools go fully operational in the fall. Program fees cover registration, materials, presentations, lunch on each day of the in-person trainings, and an evening cocktail reception the first evening, and specific networking events. Lodging, food (besides lunch), and travel expenses are not included in the program fees. CSDC arranges for a room block at the hosting hotel, but participants are responsible for their own reservations. Admittance to the 2019 Leadership Intensive is limited and participation is granted by competitive application. We strongly encourage applicants with culturally diverse backgrounds and/or those who will be leading schools serving at-risk students. Applications will be accepted from Monday, February 25, 2019 – Friday, April 19, 2019. Please join the 2020 Leadership Intensive Email List to receive the latest information if you cannot apply to the 2019 Leadership Intensive.